Saint Angela Merici's Guardian Angel Fund is our school's main source of financial aid and is available to all eligible students. Funded by the generous support of the parish and school community, the Guardian Angel Fund is an umbrella which covers all donations for needy St. Angela Families that truly want a Catholic Education for their children, but are experiencing some financial difficulty at this time. All applications and disbursements are kept strictly confidential. The tuition assistance fund is a reflection of how our parish truly values the importance of providing access to a Catholic Education for all of our parishioners. The need for tuition assistance continues to grow. Please be as generous as possible by using the Guardian Angel envelope found in your monthly packet, or make a specific donation to this fund through the Parish Center Office. If you would like to talk with someone about making a donation, please contact the Business Manager, Ed Doubrava, at (440) 333-2133, ext. 112. The Annual Parish Raffle is a major fundraiser at St. Angela Merici and is vital to our parish. It determines future funding for all of our major projects at the Church, our school and the grounds. Parishioners are encouraged to buy and sell raffle tickets in support of the parish and school. In the past few years, this has included the completion of new replacement windows in the school and church buildings, and a new wireless environment for our parish and school buildings. 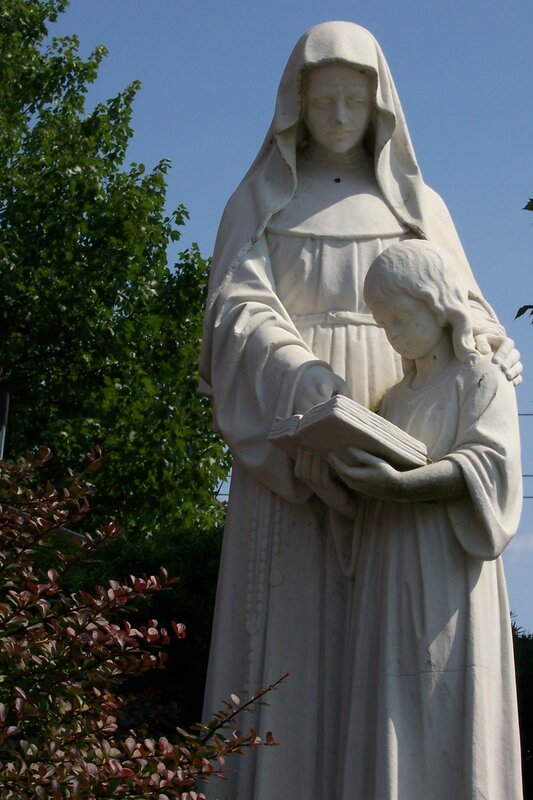 Remembering St. Angela Merici Parish and/or any special projects as you plan your Estate. Donating the appreciated stock can provide benefits to both you and the Church. An endowment fund has been established from our Parish Share of the Rooted in Faith - Forward in Hope diocesan capital campaign. This fund is for the long term financial well being of the parish. Additional contributions are welcome. To discuss any of the above giving opportunities or to make a specific donation, please contact Ed Doubrava, Business Manager, at business@samparish.org, (440) 333-2133, ext. 112.